We had some 90 degree weather last week so I pulled out this recipe. It screams summer to me. 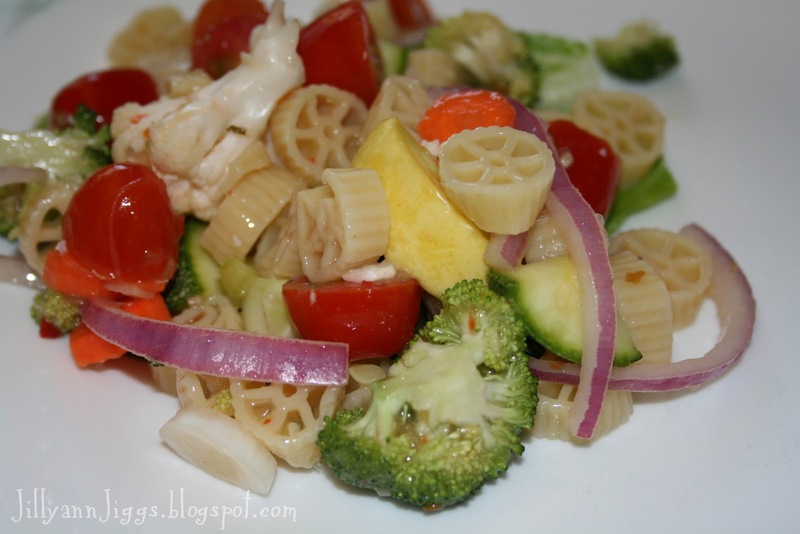 I like to do the pasta salad variation of it and use it as a main dish, but it can be just veggies and used as a side. I usually just throw in whatever kind of pasta I have around and don’t worry it it’s whole wheat or brown rice pasta. The recipe comes from the book “Set For Life” by Jane P. Merrill and Karen M. Sunderland. Of course you can use whatever veggies you want, adding what you like and omitting what you don’t (like radishes). My kids don’t like eating raw onion so I cut that down and let them pick out the pieces. 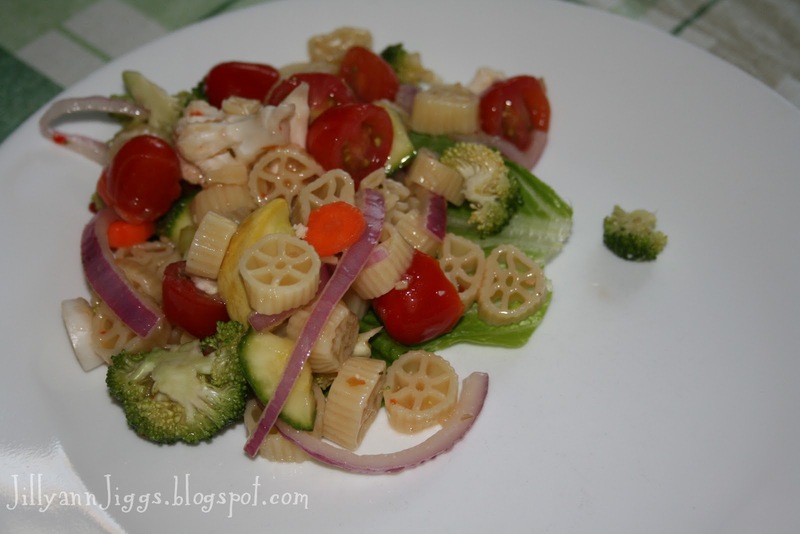 Mix all vegetables except tomato, radishes, and red onion. (Red foods lose thier color if marinated too long. ) Pour dressing over vegetables, and toss to coat. Marinate in the refrigerator 12 to 24 hours. On hour or less before serving, add tomatoes, radishes, and red onion. Drain dressing and reuse if desired. Serve vegetables on a lettuce leaf. For a main dish salad, add 2 cups cooked whole wheat spaghetti noodles, broken into small pieces, or cooked brown rice spirals. Marinate with vegetables for at least 1 hour before serving.